Paul Woods is Founder at Adopt & Embrace, an organisation that helps organisations make the most of Office365 through user adoption and unlocking real business value. Paul is also the creator of The Yaminade, a podcast devoted to Yammer adoption. 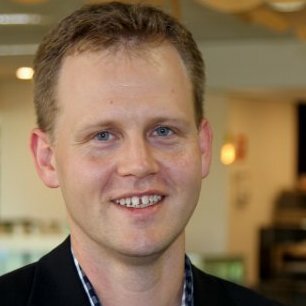 Simon Terry: As an Office 365 MVP and a specialist in adoption, you have seen a lot of organisations setting out to create value through openness and collaboration, what characterises the successful efforts in your experience? Paul Woods: The number one factor we have seen is clearly communicated vision and values that are (generally) lived and breathed by the organisation. The tool doesn’t matter, the plan or the processes don’t necessarily matter. But if your people have bought into the “why” of your organisation, amplifying their impact through open / transparent / collaborative ways of working is not only possible but a lot easier than if that structure is not in place. When it comes to the execution, tools do play a minor part – whether it is your physical space, or your digital space, it needs to be easy for individuals and teams to come together, share, and then execute what they need to do. But tools are only 5% of the equation… it is the attitudes, expectations, and values of the people within your eco-system that make the difference. How does working out loud help organisations seeking to change people’s behaviour to adopt more collaborative ways of working? Paul Woods: Organisations around the world make the mistake of assuming that communication is understood just because an email has been sent, a topic has been discussed, or a speech has been made. Some believe improving collaboration is all about deploying the right “tool”. But the reality can’t be further from the truth. A culture of Working out loud means that there is a consistent communication feedback loop inside your organisation… it isn’t about what was said, but the actions of the people that are executing. Everyone understands what is going on when, what challenges are being overcome, what opportunities are present. A work out loud culture means that peers or people you have never met in an organisation can work together towards your common purpose. Working out loud doesn’t have to be digital… that just helps with scale. But by investing a little bit of time into working out loud in your physical and digital workplaces – your can reap benefits both personally and professionally. Your podcast series the Yaminade has been a valuable resource on adoption and community management in Yammer just by asking people to talk about their work. Where did that idea come from and what have you learned from the experience? Paul Woods: To be honest the idea was very personal – I just wanted to learn from the best in the business. I found that as an introvert by heart it was much easier for me to ask someone to be interviewed for a podcast vs getting on the phone and just having a chat! Ultimately I thought if I want to hear from these individuals around the world about how they are doing amazing things inside their sphere of influence… I am sure others will too. The Yaminade was my first very public version of working out loud – sharing the conversations that I was having, sharing my moments of discovery with an audience seeking the same. I avoid editing the conversation as much as possible to ensure that the meandering nature of the conversation is clear. Its not just about the facts or the stories, it is about how you discover them along the way. You are very active promoting collaboration and the adoption of Yammer and Office365., What communities do you chose to engage in your work? How do you share your work each day? Paul Woods: It varies by community… in some communities I am a creator, in some I am a commenter, and others I am a lurker. The context of my engagement determines how I engage. Internally within our organisation as a leader I encourage everyone to work out loud via Yammer (and now in parallel where it makes sense Microsoft Teams which we have been testing). Externally there are several communities I participate in. We work within a co-working space called Little Tokyo Two (LT2). The community minded nature of the other residents in our space means that we are regularly working out loud across our different businesses as well. Last week we were sharing between our organisation, a creative agency, a recruiter, and a lawyer. We all solve specific problems, but by sharing our experiences across the week we were able to connect and support. Whether it is in LT2’s slack channel, or physically over Friday afternoon beers we get a lot of value (and hopefully offer a lot of value in return). Other spaces include LinkedIn, where I work out loud highlighting the type of work/opportunities/challenges/successes we are doing with our customers. Not only does this help us identify a pool of talent to bring into the business (by identifying those that comment/share etc) but it also means that working out loud contributes to the revenue of our business. What challenges have you had to overcome to work out loud? Paul Woods: In a previous life when I worked for an ASX listed company – it was strange for people to openly share information (even though by reading between the lines of the core values of the organisation it should have been encouraged). Being the first person to work out loud can be difficult, and potentially make you vulnerable. But despite that first step being tough, once you get in to the habit of it, others will join your movement and it will become easier. You will still get strange looks and comments from people… but what they don’t realise is that by working out loud you are reducing the amount of effort you need to go through to get results. The challenge I have now as a leader in our business is ensuring that the people we bring on board share our values when it comes to openness and transparency in the way that we work. At first I thought this would be difficult but because I am giving people permission to share openly, it has been surprisingly effective in encouraging a work out loud culture. Paul Woods: When you have more than one person doing something, communication with your peers is the key to ensure you get results. If you know who you need to communicate with you might be able to get away with it… but in larger organisations, it is very rare that you know who has what expertise and experience and at what level a working out loud culture removes the barriers to effective communication and knowledge sharing that might be there because of culture, organisational structure or because “this is how we have always done things”. Even if you are a solo operator, working out loud enables you to discover and be discovered by others who can help you amplify your own impact.